This is for the hard copy version, which gets mailed to you. Order the PDF version here. 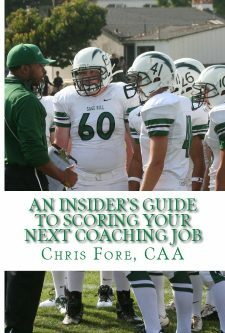 Coach Fore wrote this book to help YOU land that next coaching gig of your dreams. He uses his experience as an Athletic Director and Head Football Coach to weave together a great plan as you pursue the next job in the coaching world. This book will help coaches in all different sports, not just football. This hard copy book gets mailed out to you First Class. Order the PDF version here. So You Want To Leave? Now What?